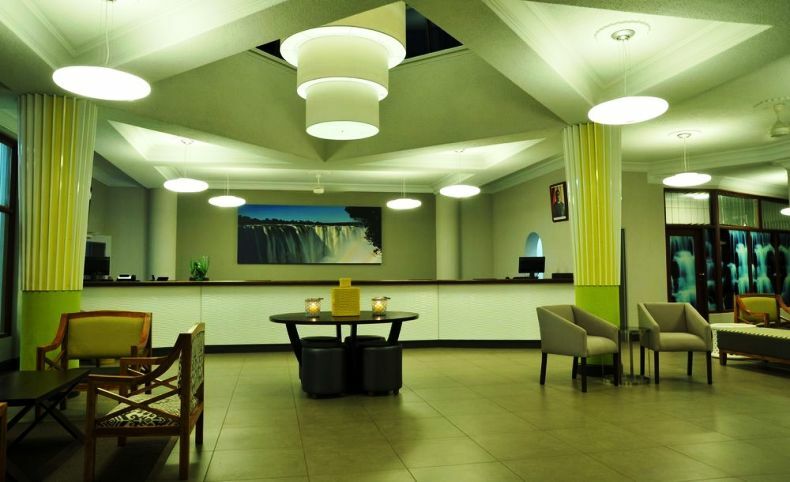 The hotel is located 2.2km from the Victoria Falls Rainforest entrance so it is convenient for those who are driving themselves, although you can take the hourly shuttle which goes to the CBD and onto the Victoria Falls, or hire taxi to take you around town. Transfers to and from most activities are included in your activity price. There are 65 en-suite rooms in total at Cresta Sprayview Hotel. The rooms are clean and lavish, and more modern since refurbishment. The hotel grounds are neat and secure, and you can park your car right outside your room. The hotel restaurant, the Terrace @ Sprayview which is on the terrace by the pool serves tasty and wonderfully arranged food. 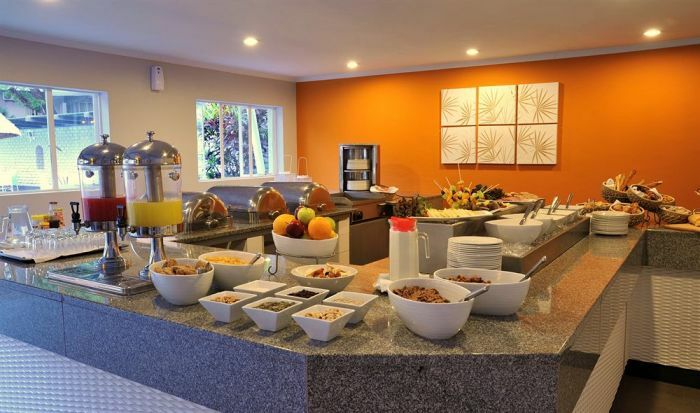 Other amenities include a gift shop, sculpture gallery, internet café and the Rainforest Bar. The accommodation pricing has changed slightly, meaning guests still get good value for their money. Vacationers travelling alone, in groups or as a family will be quite comfortable at Crest Sprayview Hotel. Cresta Sprayview is a good hotel refurbished in 2013. 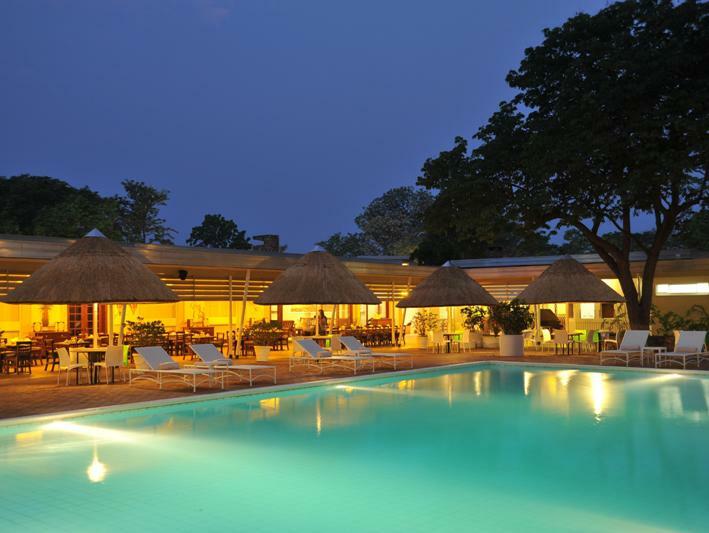 It is on par price wise with other 3 star hotels like the Kingdom Hotel, Rainbow Hotel and Elephant Hills but we feel offers slightly less value for money. Good for self drive visitors as one can drive right up to the rooms - motel style. Nothing wrong with the hotel but I am not sure why one would choose this hotel over the Kingdom Hotel which is more centrally located and nicer to look at. 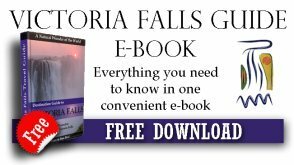 You can fly to the Victoria Falls Airport and arrange a transfer or get a taxi to Cresta Sprayview Hotel, or you can fly to Livingstone Airport and get a road transfer to Victoria Falls town (by prior arrangement with an agent).